Scientists can’t explain this mysterious phenomenon in Oklahoma. We take a look at this mysterious phenomenon in Oklahoma. Over the years there have been many mysterious phenomena. Although most of these are eventually solved there are some that remain unsolved. One of these goes by the name of the Hornet Spook Light. The mysterious lights started around 1866 and ever since then hundreds of people have encountered them. There occur in Northeast Oklahoma but have many of the same characteristics of orb like lights seen in various parts of the world. Interestingly though in this case witnesses describe the light as being a bright orange ball. They almost look like planets or a planet with a moon. I heard one story where an orb got close to a girl and she could see someone inside looking at her! Freaky. Thanks Wes! 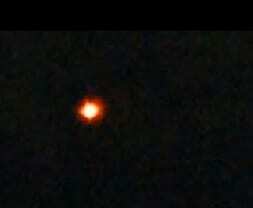 We went to see the Marfa lights in 2008 after leaving a star watch party at the nearby McDonald’s Observatory. We didn’t see any Marfa Lights at the designated scenic location but we got chased out of town by a bluish/green light. It was after midnight and my wife told me to slow down, I looked down and was unknowingly doing 110 mph trying to escape it. Needless to say I slowed down and it disappeared, but it got scary there for a little bit. Don’t plan on ever going back.